Across all industries, people are changing the ways they engage with products, services, and brands. Meanwhile, the digital revolution is blurring the lines between personal and professional spaces. To stay relevant, pharmaceutical companies must re-evaluate their traditional commercial models and address the changing expectations of their customers—at scale. 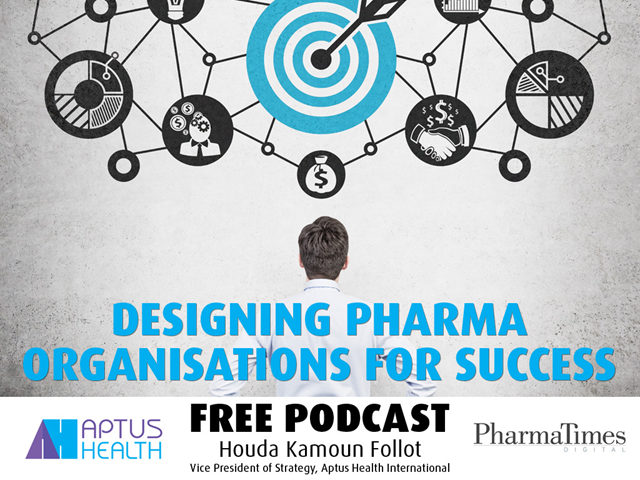 In this podcast, we’ll explore opportunities pharma marketers have to create engaging experiences that will deliver new types of value to meet their targets’ evolving expectations. Many gambling-related stakeholders - industry operators, governments, public health officials, and consumer advocates - promote the use of responsible gambling programs to minimize the negative social impacts associated with excessive gambling. This panel will look at responsible gambling programs and planning present for different industry stakeholders - operators, manufacturers, and new game designers, with a focus on how they balance this issue with the need to continually innovate and develop their business. The current National Responsible Gambling Strategy comes to an end in March 2019 and we are developing a new national strategy to reduce gambling harms working with all the bodies that will be part of delivering the strategy. We are seeking your views on the five proposed priority areas for action over the life of the strategy. Successful delivery of the strategy will require collective effort and engagement from a wide range of stakeholders, and we want as many people and organisations as possible to have a voice in shaping the strategy and the arrangements needed to deliver it. We are also conducting a formal consultation under Section 24 of the Gambling Act 2005 on proposed amendments to the LCCP requirement on gambling businesses to contribute to research, prevention and treatment, and associated arrangements needed to deliver the strategy. Since the US Supreme Court repealed the 1992 Professional and Amateur Sports Protection Act, several US states have rushed to legalize and offer sports betting to their gaming patrons, and endless seminars and panel discussions have analyzed sports betting legalization from the operator and patron perspective. Featuring several prominent US regulators, this panel will take a look at sports betting post-PASPA from the regulatory perspective, discussing the policy and legal challenges regulators now face. It was once said that online gaming cannot be effectively regulated. Since then, many jurisdictions around the world have shown this statement to be false. In fact, the introduction of legalized online gaming in European member states over the last decade or more as well as the recent expansion of legalized online gaming in several US States, have shown that online gaming technology provides operators with the ability to protect the interests of the customer more effectively than may be the case in the terrestrial industry. Having said that, the introduction of legalized online gaming has not been without its challenges. Different socio-economic, political and cultural landscapes have posed unique challenges to regulators around the world. During this webinar, we will look at how regulators in the UK, mainland Europe and the USA have responded to these challenges. Financial crime and risk issues continue to be at the forefront of gaming operations across all sectors, and this webinar will provide a thoughtful look into several critical issues including patron and property based risk assessments, know your patron controls, responding to emergency threats and addressing suspicious activity from both front line and back-of-the-house approaches. The panel's experts will discuss the components of enhancing patron due diligence while leveraging department information for more complete patron profiles, assessing the potential risks associated with casino patron databases, implementing adequate due diligence controls to reduce risk, as well as various control strategies that can be used to identify suspicious activity scenarios. With the increasing scrutiny that gaming operators face with regard to financial crime, this is a session you won't want to miss. On Wednesday, September 5th, 8:30am PST 4:30pm BST, we invite you to join IAGA in association with Casino International who will host a free webinar focusing on CryptoCurrency & Blockchain. While the gambling community may know the basic information of what CryptoCurrency and Blockchain are, this webinar will go into more depth on how these distributed ledger technologies can be implemented and used within the global gambling industry. IAGA is pleased to announce the next session in its free webinar series focusing on critical issues facing global gaming. Developed in conjunction with the University of Nevada, Las Vegas (UNLV) International Center for Gaming Regulation (ICGR), the UNLV International Gaming Institute (IGI) and Ernst & Young, each webinar features panelists who are thought leaders on each issue. Each webinar is made possible by Casino International. On Wednesday, May 2nd, 9am PST 5pm BST, we invite you to join IAGA and UNLV in association with Casino International for a free webinar focusing on critical issues facing the global gaming industry. There has already been substantial discussion on the various approaches to the predicted legalisation of sports wagering across the United States, our webinar will focus on ‘The Practical Side to Sports Betting’. Reznor, in association with Heating and Ventilating Review, will be hosting a free webinar which will discuss how the brand transition coincides with a number of new product developments, and a portfolio which is now fully compliant with Energy related Products (ErP) regulations. You’ll also get to hear about Read&Write, a tool that’s helping millions of students worldwide improve their literacy. Like other footwear retailers, I'm sure you're looking for ways to stay ahead of the rest, whilst also making your business more profitable and efficient. It's not an easy task. Top to Toe, in association with Footwear Today, will be hosting a webinar where they will show how their stock management, EPOS and automatic web linking system have helped other retailers develop their business. Increasingly, universities are seeing applications from students with a mix of academic and vocational qualifications, and this trend looks set to continue. The International Baccalaureate’s (IB) Career-related Programme (CP) helps students take advantage of this trend by combining the two pathways along with a skills-based core which prepares students for employment, further training through apprenticeships or for entry to higher education. King Ethelbert School in Birchington, Kent, which offers the CP, describes the programme as “transformational”. Hear and learn about the real benefits and impact the programme has had on students in a free webinar presented by Dr. Peter Fidczuk, UK Development and Recognition Manager at the IB, and Jocelyn Rebera, Head of Sixth Form at King Ethelbert School. The need for increased energy efficiency and reduced carbon emissions in the building services sector has resulted in variable flow hydronic (waterborne) heating and cooling systems mostly replacing traditional constant flow systems over recent years. Whether you’re yet to use differential pressure control valves (DPCVs) or you’re interested in learning more about their features to use them to their best ability, why not join the Frese webinar on the 14th June at 12pm which will provide guidance on the products best practices. Education Today’s popular webinar series returns on April 27th to take a look at the new European data protection legislation GDPR and to show how your school can prepare for it. KYOCERA Document Solutions UK will look at the ever-increasing number of devices which could be at risk of cyber-attacks and security threats in the webinar “GDPR: The devices you haven’t thought about”. It will explore the way GDPR is forcing organisations to change the way they think about data processing and handling personal data. We would like to invite you to register for the webinar - either to watch it live on the day or for access to a recorded version. Education Today’s popular webinar series returns in October and up for discussion is using Outdoor Adventurous Education (OAE), as a commitment to active learning. In the upcoming webinar “Engaging with Challenge – from Mountains to Mathematics” The Outward Bound Trust will be looking at the Outdoor Adventurous Education (OAE) approach as a tool to work with all young people.It will explore the benefits in a way that doesn’t dominate or provide an easy solution but one that seeks to compliment other strategies within the social education context by working closely in partnerships with schools to develop skills. Marflow Hydronics’ introduction to Filterball, Heatsense and Flow Measurement. Introducing the unique Filterball, the ball valve with built in strainer for system maintenance, Heatsense, the ball valve with temperature measuring incorporated and Flow Measurement with interchangeable venturis for flow control and measurement. Marflow Hydronics: offering solutions for all applications.